At Health Valley you never have to sacrifice great taste for good nutrition. Our Amaranth Graham Crackers are light and crispy, with a delicious hint of vanilla, perfect with a cup of Celestial Seasoning tea. And they are not just delicious; they contain amaranth, a grain that is rich in lysine, one of the essential amino acids. Amaranth also contains 12 different vitamins and minerals. 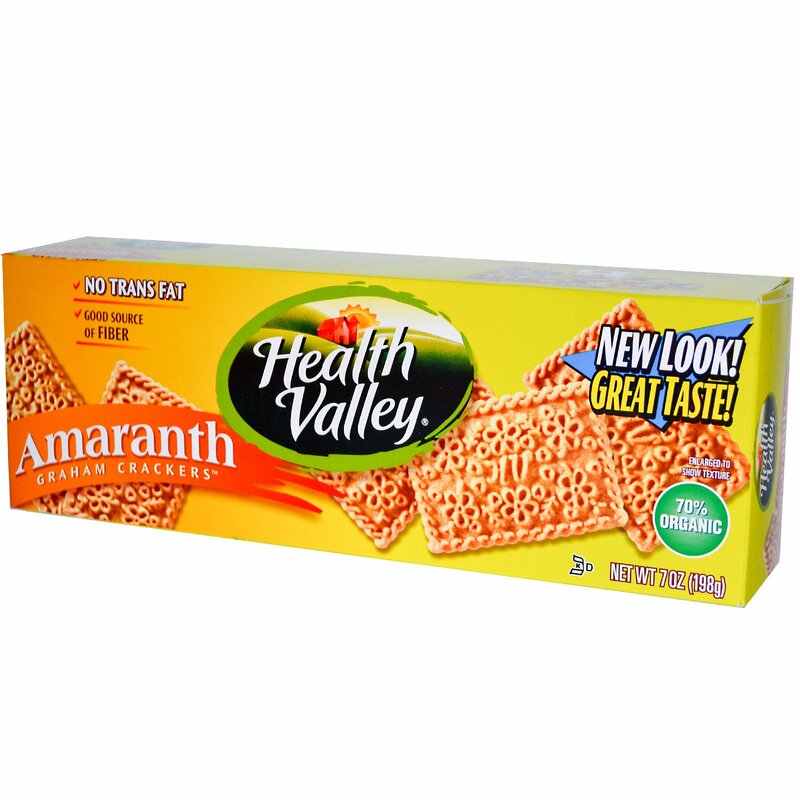 Like all Health Valley products, Amaranth Graham Crackers contain no trans fat, artificial flavors or preservatives. Health Valley Foods...assuring a healthy life for you and your family. Organic whole wheat flour, cane juice, soybean oil, organic soy flour, unsulfured molasses, organic amaranth flour, wheat gluten, vegetable glycerin, soy lecithin, natural vanilla flavor, baking soda, sea salt. 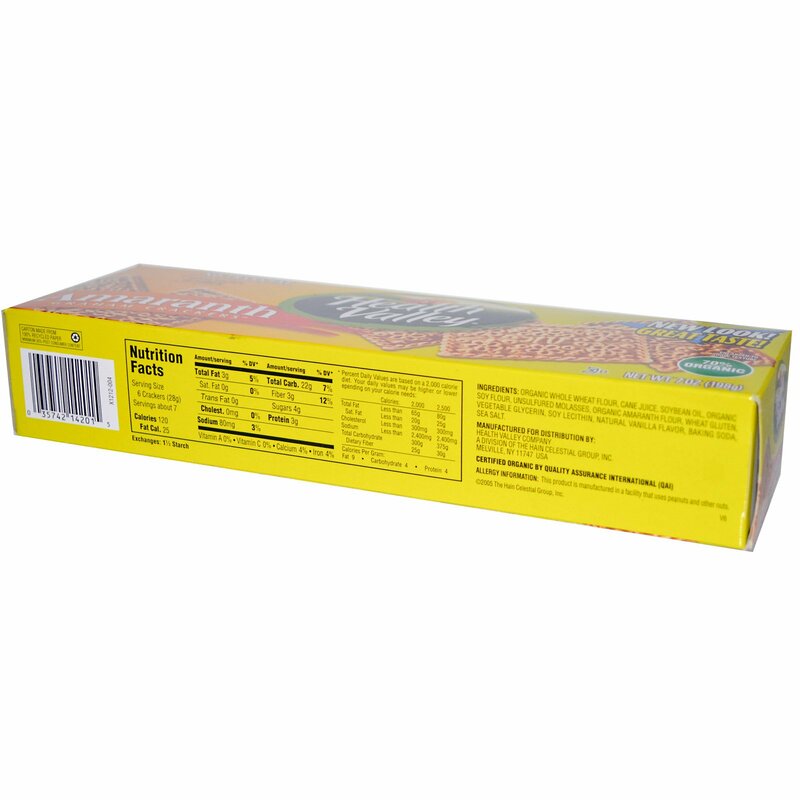 Allergy Information: This product is manufactured in a facility that uses peanuts and other nuts.